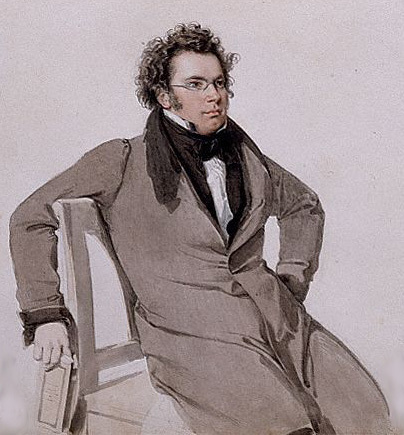 Franz Schubert (1797-1828) is the only major composer of the 18th and 19th centuries who was actually born in Vienna. The city operates two museums dedicated to him: one where he was born and the other where he died. 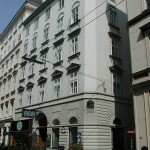 Additionally, there are numerous historical buildings and monuments around Vienna the commemorate Schubert’s life there. Birth House Museum. 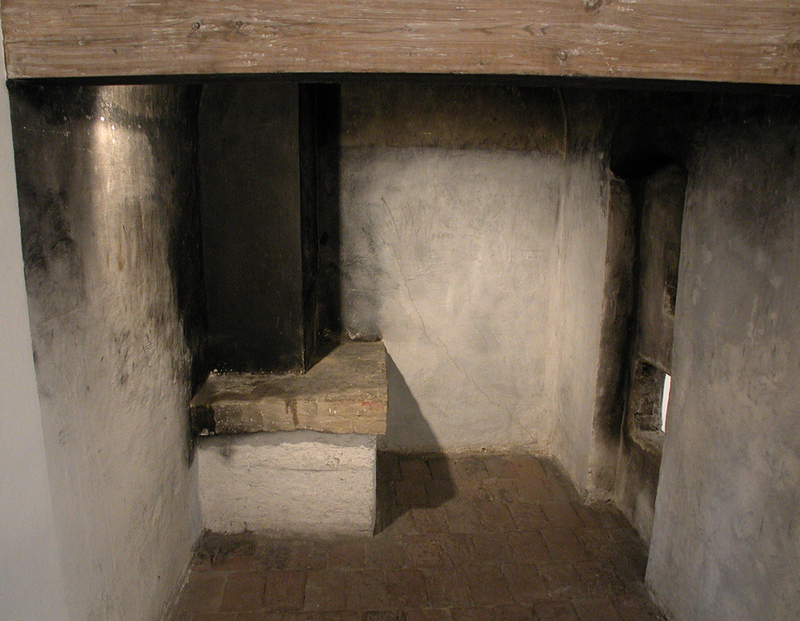 Schubert was born in the little kitchen (left) in an house on Nussdorferstrasse. His father used the small apartment as a school house – a very crowded schoolhouse! Today, the museum includes the composer’s piano, glasses, guitar, other memorabilia, and a great collection of paintings of him and other scenes relating to his life. 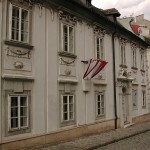 Apartment (Museum) where Schubert died. 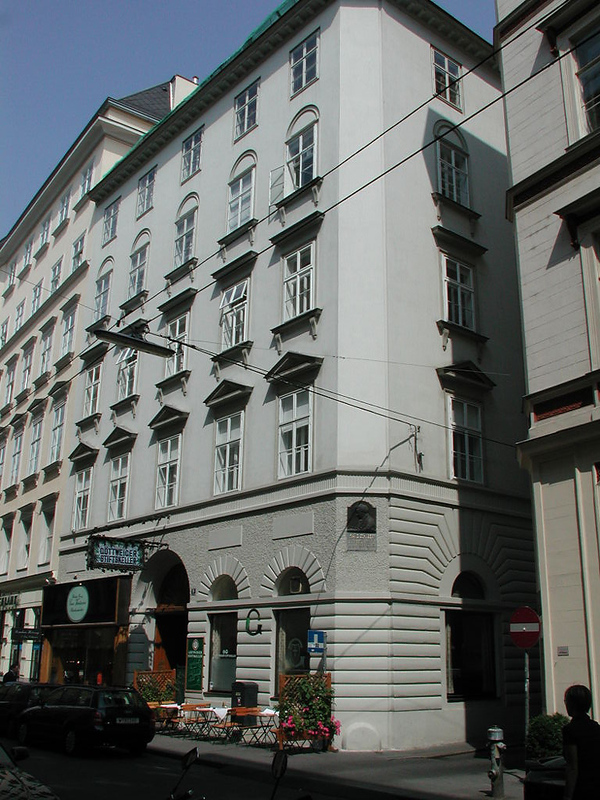 Schubert stayed with his brother in this newly built apartment. 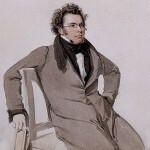 It was very cold and musty, and these conditions served to harm the already weak Schubert. The museum has some interesting items from the end of the composer’s life, including some extremely touching letters. 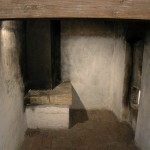 Original Grave. 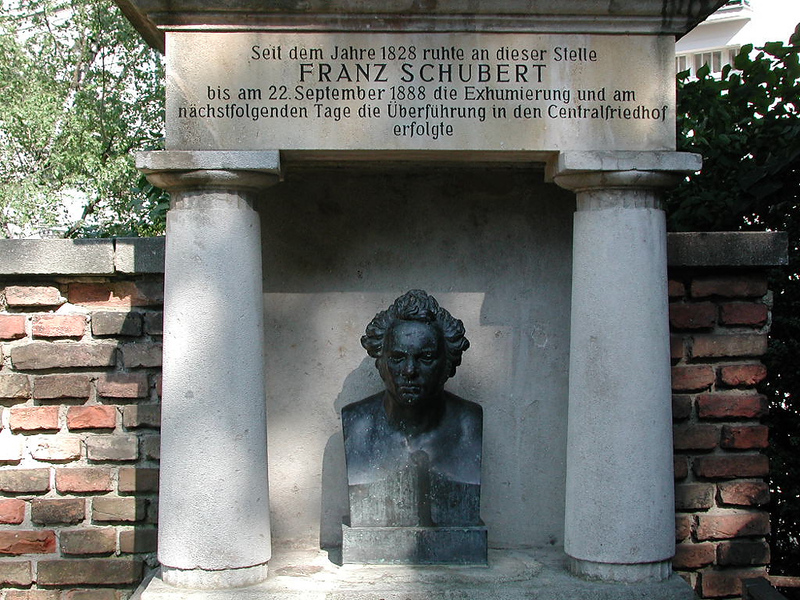 After his death, Schubert was buried next to Beethoven in what is today called “Schubert Park”, just down Währingerstrasse from the Volksoper. In the 1880’s, the remains of both composers were moved to the newly opened Central Cemetery. 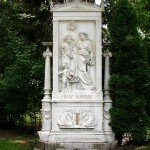 Grave in Central Cemetery in Vienna. 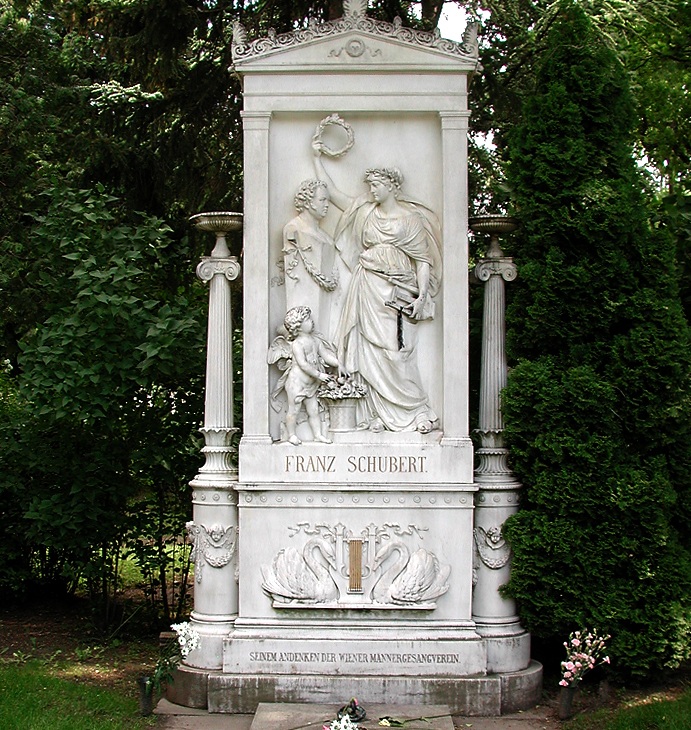 Schubert’s final resting place is in the section of the cemetery dedicated to the great composers: Beethoven, J. Strauss, Brahms, and others. His tomb was designed by Theophil Hansen, the architect who designed the Musikverein and Parliament. You can see similarities of Greek design with the arched roof. 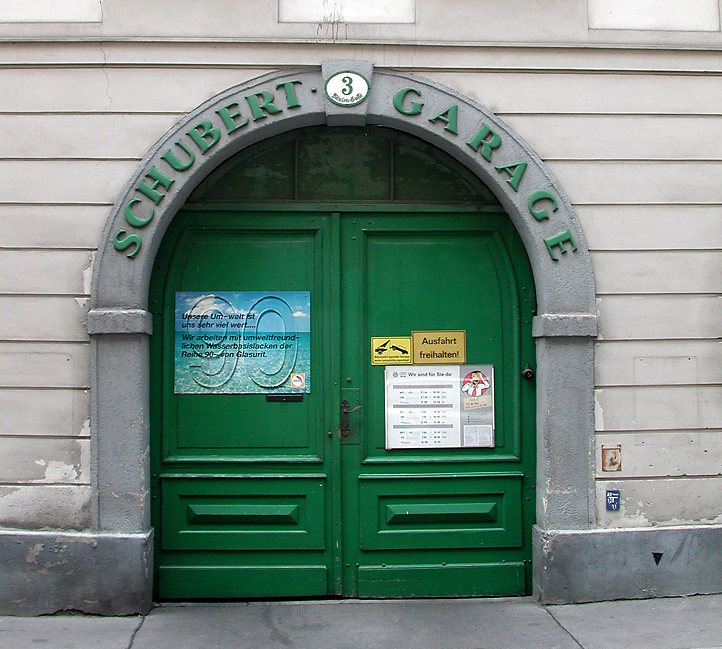 Schubert Garage. 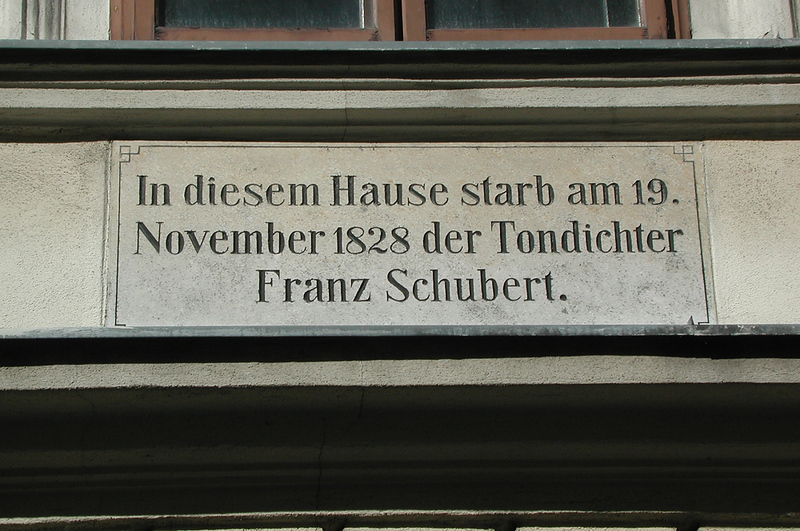 Schubert and his family lived here from 1801 to 1818. Today, auto mechanics work there, but continue the reverence to the composer. 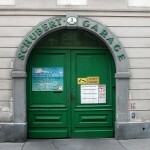 The building is called the “Schubert Garage”. Liechtental Church. Schubert’s childhood church, just a couple of blocks from his birth house and “Schubert Garage” house. 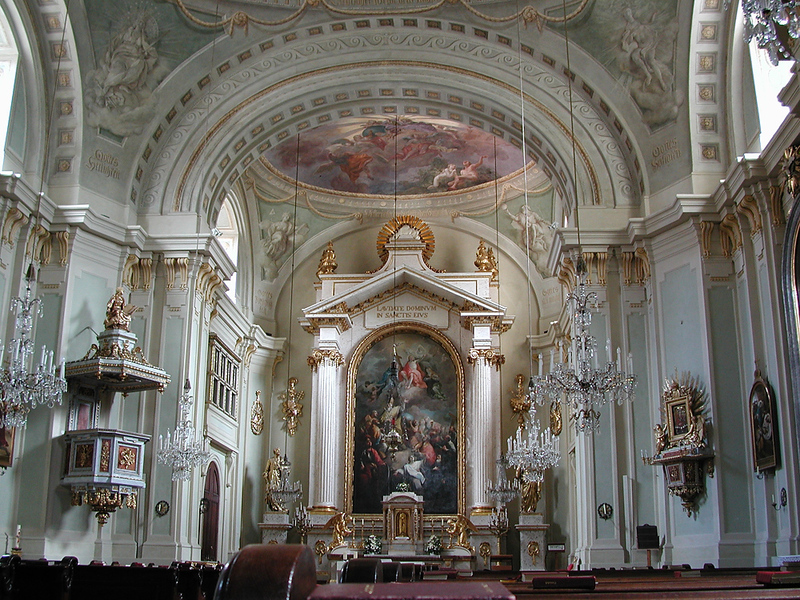 His parents were married here, and the great composer was baptized here. 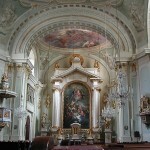 Schubert was organist here for ten years, and this is where two of his masses were premiered. 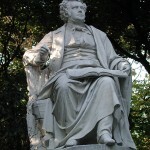 Schubert Statue in Stadtpark. 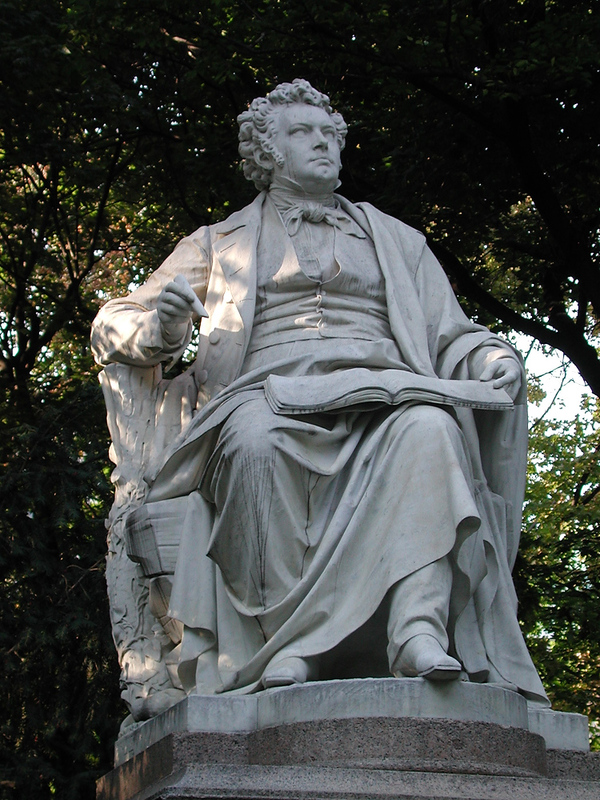 One of the nicer statues of the composer is in Vienna’s Stadt Park, not too far from the the famous golden statue of Johann Strauss, Jr., the “Waltz King”. Apartment where Schubert wrote the “Unfinished” Symphony. 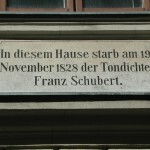 Schubert lived here in 1823 and 1824. 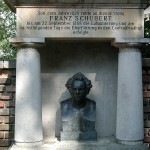 The plaque in front of the building is one of the few images of Schubert without glasses. 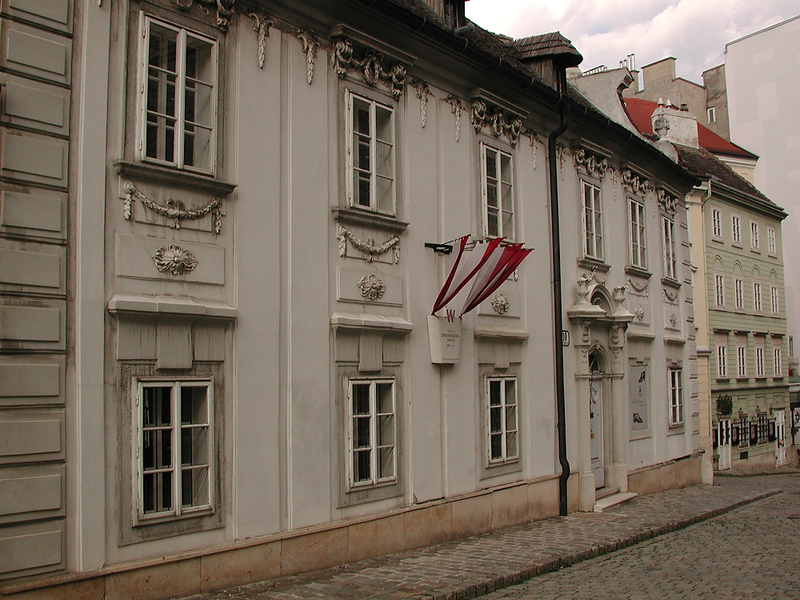 Next door was the long-time home of Antonio Salieri.